die im Mund eine Eleganz zum Ausdruck bringen, aber gleichzeitig sehr lebhaft mit einigen Gewürznoten und einer ausgewogenen Säure. Bright cherry colour with some violet nuances. In the nose, red berries aromas remain over the oaky and balsamic notes from its ageing in wood. It shows an elegance in the mouth, yet very lively, with some spice back notes and a very balanced acidity. Color cereza brillante con matices violetas. elegancia en la boca, pero a la vez muy animada, con algunas notas de especias y una acidez equilibrada. Nose: ripe fruit, sweet spices, creamy oak, expressive. Aroma fruta madura, especias dulces, roble cremoso, expresivo. 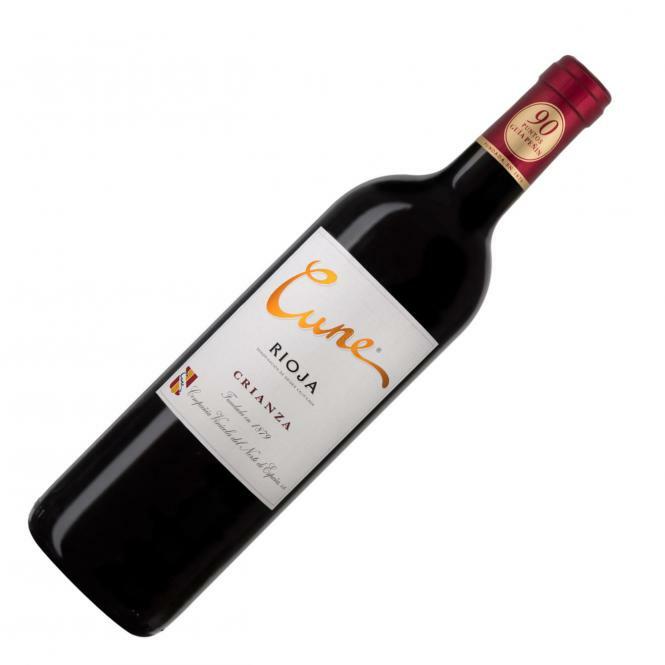 Cune Tinto Crianza 2012 ist im spanischen Weinführer Guía Peñín mit 90/100 Punkten bewertet.